Both thermoelectric coolers and mechanical refrigerators are governed by the same fundamental laws of thermodynamics. Figure 2531 shows the schematic illustration of an EDS system integrated with a Peltier (thermoelectric) cooler. Figure 2531. 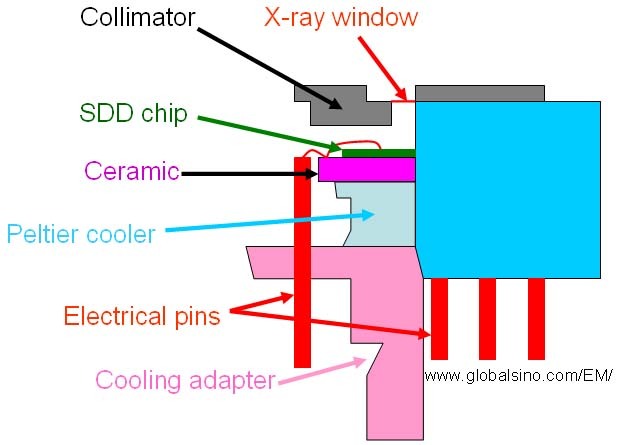 Schematic illustration of an EDS system integrated with a Peltier (thermoelectric) cooler.